Have Fun. Get in Shape. Join us in living a life well fought. SIGN UP FOR A MONTHLY UNLIMITED MEMBERSHIP! A 60 minute guided non-contact boxing workout incorporating boxing technique, shadowboxing, heavy bags, 1-on-1 mitt work, core work and full-body strength training paired with high-energy music. Have fun, get in shape, punch stuff. BoxFit cultivates a passion for fitness by creating challenging, original, and safe classes for all fitness levels. 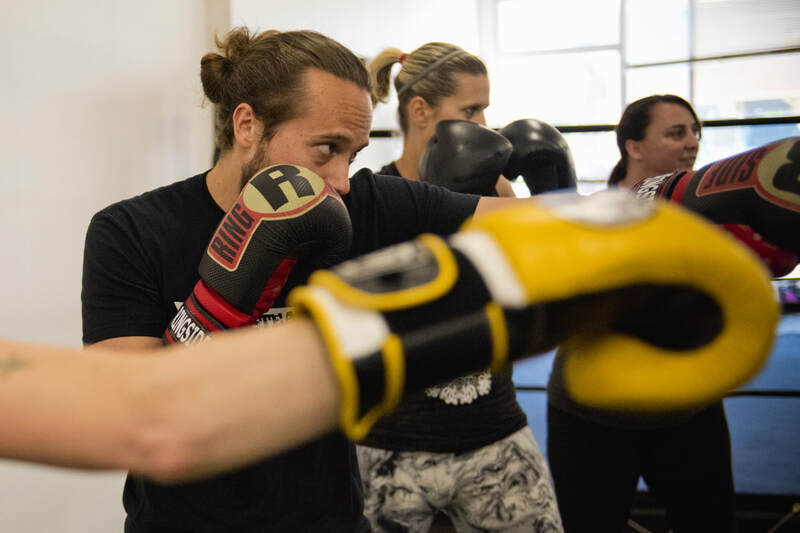 ​Even if you've never laced up a pair of boxing gloves or thrown a single punch in your life, BoxFit will help you uncover your body's power and potential. 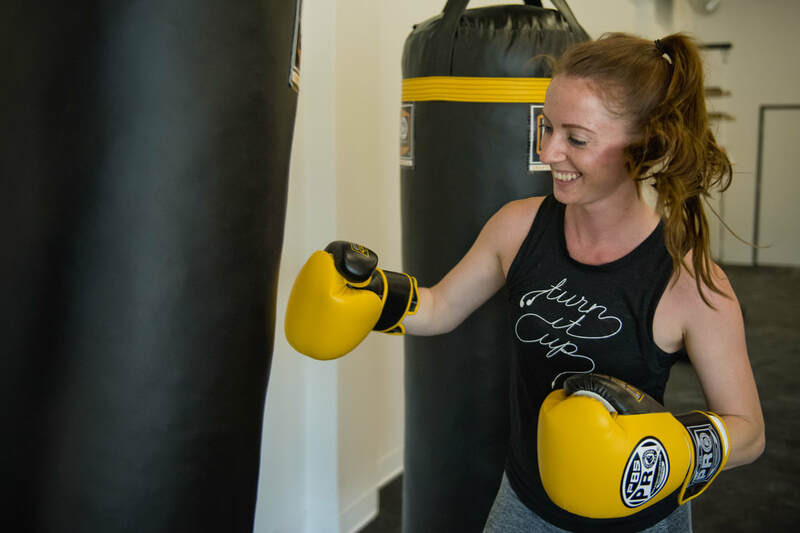 Focusing on functional movements and incorporating total body exercises, a BoxFit class will leave you sweaty, happy, and stress-free. Every class is different. Every class has a new soundtrack. Every class is empowering. "I've been looking for a way to get in shape and BoxFit has definitely been the answer. The instructors are knowledgeable and motivating, the workouts are dynamic, and the atmosphere is very welcoming. Thanks, BoxFit, I was unaware I could sweat so much and still be smiling!" "Amazing workout!! Mike and crew are highly experienced and have built a community and place that feels safe, challenging and praises hard work and dedication. Every workout I've had I've left dripping sweat and feeling like I could take on the world." "My favorite workout class by far, I’ve been coming to Boxfit for almost two years and it’s been a big part of me dropping 30 pounds. The environment is very welcoming and the trainers are very helpful, it’s a perfect gym to come to if you’re brand new to boxing"
"Great boxing workout! love that you get to hit mitts with the trainers, use heavy and speed bags, and fit in some weight work all in one workout. 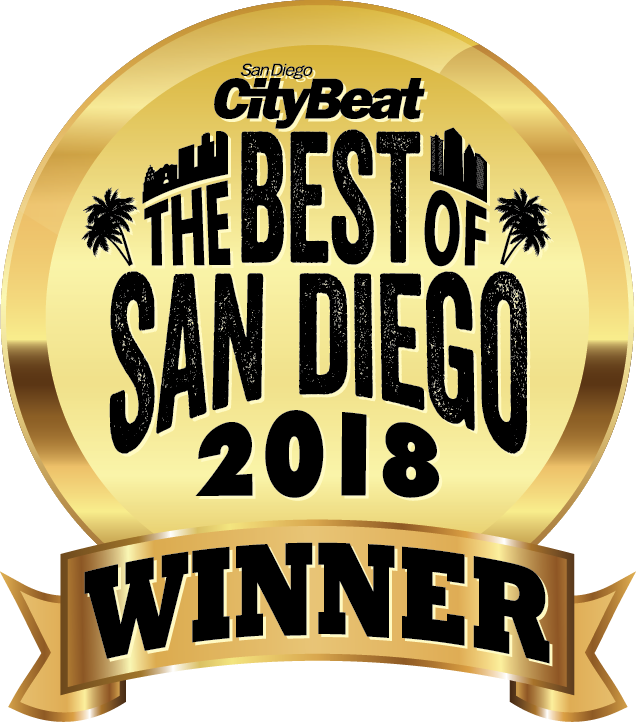 good space and nice location in north park too."